1.) Failure is only permanent if you don’t learn from it. We all fail. Period. Show me a person who has not failed and I will show you a person who has never tried anything new. R.H. Macy had 4 stores to fail when he started out. Most people would have thrown in the towel after just 1 store failure! He refused to let those business failures be the end of his story and he tried again. Failure is an opportunity to start again with more insight. The smartest leaders and business people will most likely agree that they have learned more from their failures than they have from their successes. After the failure of the first 4 stores, he decided to move to New York City from Haverhill, MA. He staked out a niche for himself in a brand new environment. When you encounter failure, as you most certainly will if you ever expect to make progress in anything, you must master the art of the “Pivot”. Continuing to do the same things that have not been working is insanity, but learning how to pivot away from what is not working and develop a new strategy is sometimes exactly what is needed to finally experience the expected result. 3.) Every Expert was once a novice – We must all start somewhere! After the failure of Macy’s first 4 stores, he moved to New York City in 1958 and established a new store named R.H. Macy & Co. on Sixth Avenue, much further north than where similar stores were located. On the first day of business in October 28, 1858, his sales totaled $11.08, equal to about $301.47 today. I would venture to guess that now Macy’s probably makes that amount in sales just about every second of the day! Ever wonder where that iconic Macy’s Logo originated? As a teenager working on a Nantucket whaling ship, R.H. Macy got a tattoo of a star. That star became the logo that continues to serve as the identification of the Macy’s brand throughout the world. Some leaders have a hard time thinking of themselves as a “brand” or understanding the importance of it. However, if you think of it this way, BRAND = REPUTATION, that makes it a lot easier to understand. We all have a reputation. What is your Leadership reputation? Realize that you have the power to craft your Brand Reputation in a manner that represents your authentic Leadership Style! 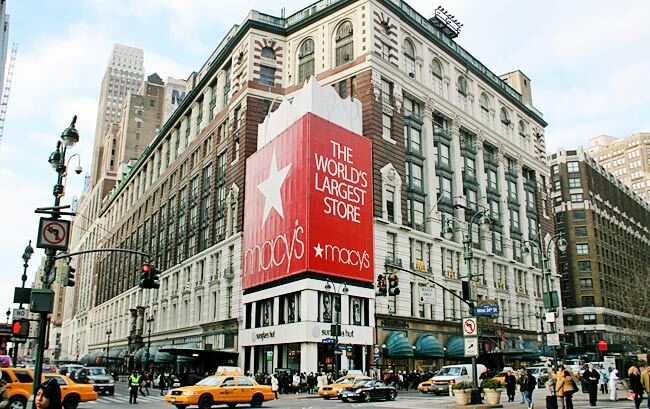 There’s no doubt that the Macy’s brand is well-respected throughout the world for quality service and products. In order to be a respected leader you must gain the trust of your team and build a reputation that others respect. Your team should be confident in knowing they can look up to you to lead the team in a shared vision. The next time you are shopping at Macy’s, think about the fact that had R.H Macy given up on is endeavor to have a successful department store, there would be no Macy’s Department stores for you to frequent in almost every mall in America. There would be no Macy’s Thanksgiving Day Parade, no beautiful Christmas Day Display in the window at the Macy’s in New York City. This company is where it is today because Mr. Macy did not let a temporary setback stop him from trying again! Is there a Leadership vision, goal, or endeavor you gave up on because of a one time failure? If its success is important enough to you, declare to yourself Today that you will try again! 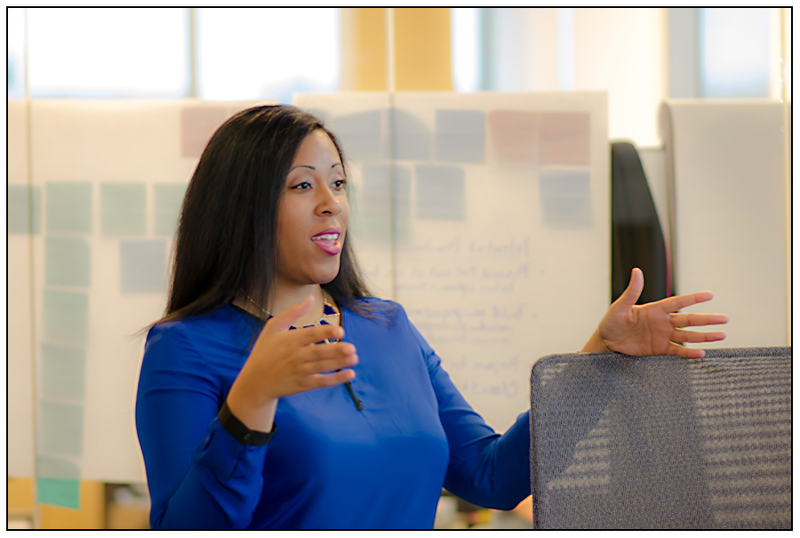 Dr. Carmen April is a young entrepreneur and community leader recognized as a 2013 Nashville Business Journal Top 40 Under Forty Award Recipient and is a 2014 Graduate of the New Leaders Council Institute – Nashville Chapter. Dr. April is available for speaking engagements on Leadership for College Students and Young Professionals.